I don't know how much any of you play around with the Dolphin 7 cache feature or settings. I have been thinking about trying a few tweaks on various blocks. If you do some exploring in your Dolphin 7 administration you will notice some of the blocks have a cache setting of 0 or no caching. Others seem to have 3600, which is 1 hour. You might even find a few, but rarer 86400 cached blocks, which is 1 day / 24 hours. I guess the thinking behind the various cache times is based on how often the particular block might receive new content. 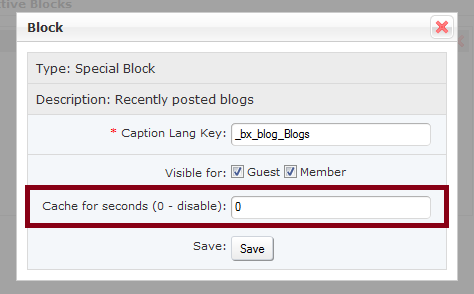 For example, the blogs block on the homepage is no cache because there could potentially be new content posted frequently. 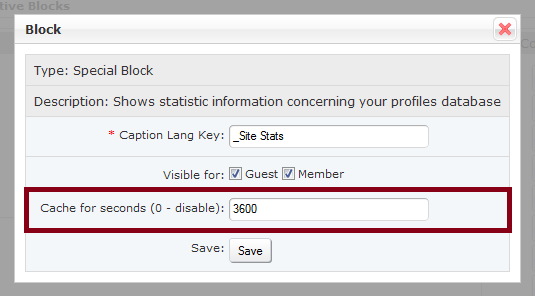 The site stats block on the homepage is 1 hour because it does change, but maybe not so often. 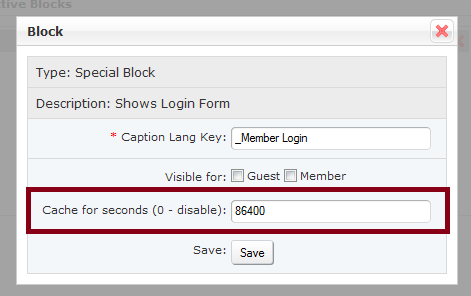 The member login block on the homepage is set to 1 day / 24 hours because this block almost never changes. So what I was thinking about doing was increasing some of the cache times of various blocks. Which potentially may speed up page loading and reduce bandwidth usage by visitors, members, and even spider/crawler/indexers like the Google bot. It might even reduce your hosting account server load usage. The challenge will be what to set the cache to for each block, and this would vary from one site to another. If your site has heavy traffic and a lot of members you would likely want to tweak these differently than a site that doesn't. But, say you created a new page with the Dolphin 7 pagebuilder and the contents of that page rarely or never changed. Maybe it is just an additional information page for your visitors or members. Since it never changes you should be able to increase the block cache to more than 1 hour (3600). You can probably up it to at least 1 day / 24 hours with 86400, and maybe even 2 days / 48 hours with a 172800 setting. If you create html blocks with information on any of your pages that rarely or never updates you could think about doing the same. If your site has low traffic and the contents of your various blocks do not change very often you might think about raising the 0 - no cache and the 1 hour - 3600 cache to a longer period of time. Of course there are many in Dolphin 7 and it could take some time to go through them all. I would think about focusing on the more popular pages first. Try it for a week or two and see if you notice faster loading pages, and reduced bandwidth. There is also caching coded into some php files that one could review or mess with too. I would start with the actual blocks first before messing with php files though. Like I said I haven't tested this yet. It is just a thought I had recently, and it will be something I will mess with when I get a chance. If I notice any significant changes I will post an update with my results.